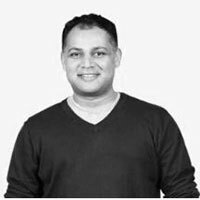 2019 combines a number of trends and challenges that the industry will need to deal with, Sumit Ramchandani, Chief Client Officer of integrated and digital agency Lion & Lion , picks out 5 elements that he believes will impact and change the industry in Asia this year, and why there is a need for agencies to be agile, integrated and innovative. Brands and companies are beginning to establish their own in-house agencies due to their internal product or service familiarity. With many adopting this model over the years (Unilever, BBC Creative and Marriot to name a few), this allows them to be agile, have fewer approval processes and focus on one client at a time. However, in-house agencies face the challenge to deliver at scale as it depends on the brands changing needs and the budget. More so, being innovative and deliver diversified ideas is a challenge in-house agencies often face. Even 40% of marketers have expressed staying abreast of the latest marketing trends and technologies as a key challenge when it comes to in-house agencies. “Cagency” describes the business model of combining consultancies and agencies. Consultants have moved into the agency space while at the same time, agencies are trying to acquire and train business consultancy skills in order to broaden their offerings and services. However, the challenge here is that consulting companies have their strengths in defining solutions from medium to long term business problems, while agencies excel at ideating and executing campaigns with short to medium business impact. Over time, I expect the two to find common ground and complement each other. The era to charge fees as a percentage of media spend is coming to an end as transparency in the client-agency relationship continues to become an important issue. Fees as a percentage of media pits agency interest against that of the client, in a sense that the agency is motivated to make the client spend more and not maximise ROI on media investment. This leads to the race to the bottom on pricing media services, impacting quality and encouraging evils such as kickbacks and lack of transparency. We are noticing more and more clients putting a stop to this practice instead tieing agency fees to the business outcome; something we, at Lion & Lion, have always preached and practised. Specifically, integrated agencies; they’re not just front offices anymore, but include both middle and back office scenarios. As such network groups have begun to act and break down artificial walls and restructuring themselves to be able to deliver integrated services within a single entity in collaboration with multiple local offices. When Lion & Lion began, it was a key priority to ensure that we had the capabilities and expertise to provide integrated digital marketing services to our clients across the region. There is a need for more integration and it is already happening, however, it will take time particularly for new agencies to find the balance. It’s not just enough to protect customers’ privacy, we have to be more accountable and ensure that dominant marketing platforms such as Facebook and Google are doing more to enhance data security. In 2018 alone, we witnessed a number of hacks on the platform, causing irreparable damage to the marketers and agency partners alike. Moving forward, we will be seeing SLAs and protection clauses around this being built into the client-agency and agency-platform contracts; of course, these come with attached penalties and implementations as well. While there are other trends and challenges that will impact the agency industry in 2019, these are the five I believe will have the most significant impact. Today, consumers engage with more fresh, relevant & timely content, thus agencies need to be more consumer-centric by being agile, integrated and innovative.